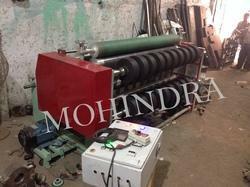 Manufacturers, Exporters & Suppliers of Roll to Roll Rewinding Machine from Ahmedabad, Gujarat, India. 1. Size 12" x 36", 16" x 42", 22" x 64". 2. Maximum speed 40 mt / min. 3. 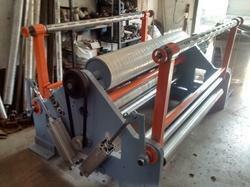 Provided with Auto Conveyor for Rubber Feeding. Being incepted in the year 1990, we are broadly considered as one of the pre-eminent manufacturers, suppliers and exporters of Fabric Slitter Rewinder Machine. In order to meet the international quality standards, this machine is fabricated using high-grade raw materials that are obtained from certified vendors of the market.